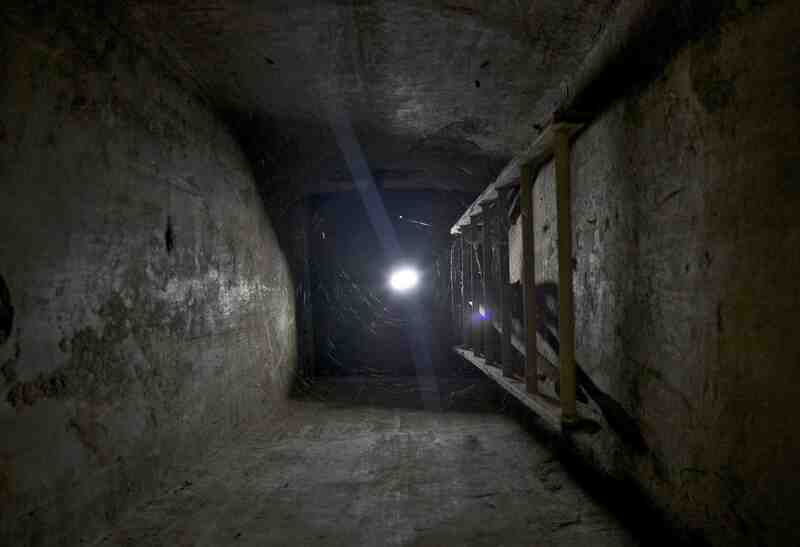 The contemporary historian David Pike has drawn attention to nineteenth-century ideas about underground space, in particular the ways in which these articulated the urban underground as a symbolic space – that is, as a metaphor of society as a whole. In relation to Paris, we find this expressed most directly in Victor Hugo’s 1862 novel Les Misérables. Society, for Hugo, is compared to geological strata with ‘upper and lower galleries’; at the bottom of society are located its most seditious elements – the ‘fearsome’ workers and the revolutionaries. 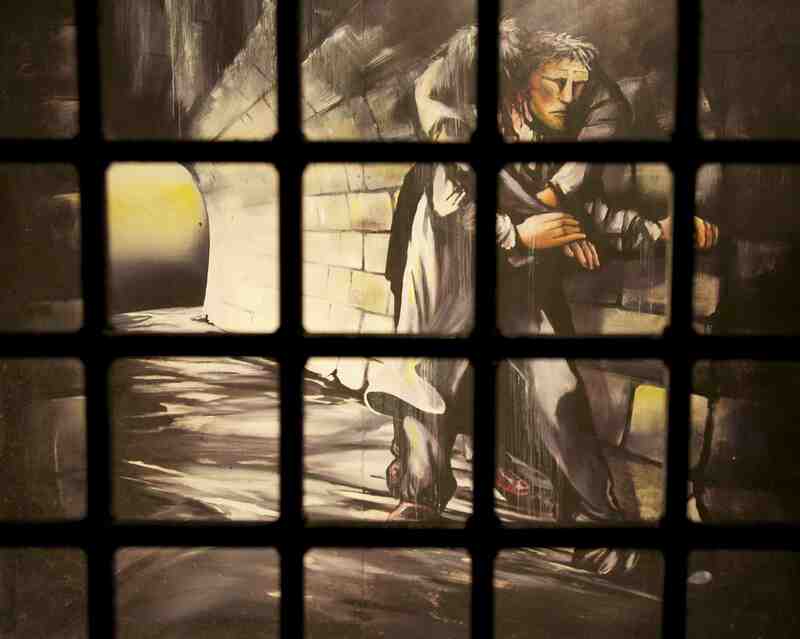 The direct association of sewers and filth provided a powerful metaphor for these lowest levels of society; these spaces were more or less directly associated in the public mind with the moral filth of the city – places where, according to Hugo, ‘monsters may be born’. However, in Les Misérables, Hugo also makes a clear distinction between the old sewers, seen as fearsome places – ‘the intestine of Leviathan’ – and the new sewers built from the 1850s onwards, which he describes as ‘clean, cold, straight and correct … [where] the filth is well-behaved’. 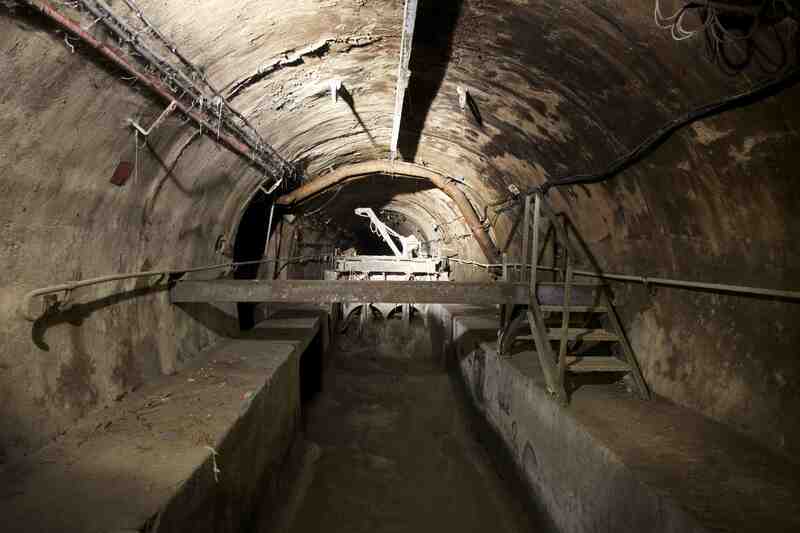 According to Hugo, the transformation of the Paris sewers divested them of their older symbolic power. 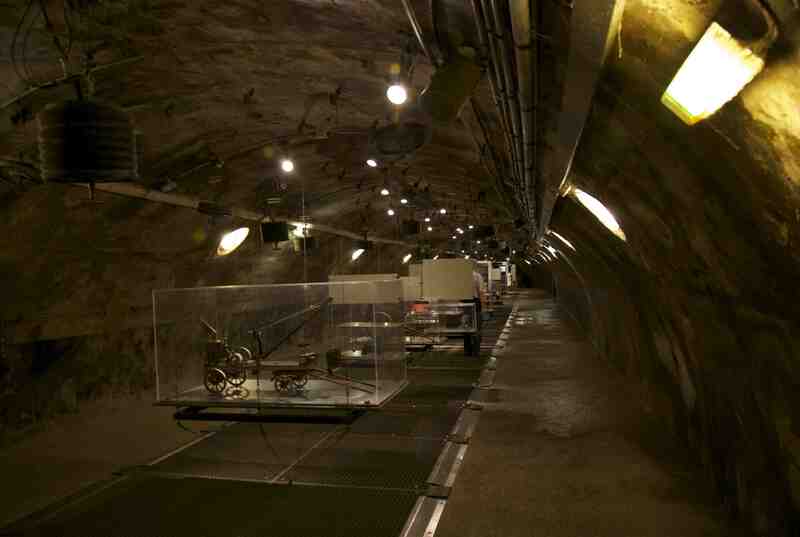 In 1867, a section of the Paris sewerage system was opened up to the public; visitors – both men and women – who descended into this transformed underworld admired the cleanliness of the spaces, the lack of smell, and the brilliant lighting (1). 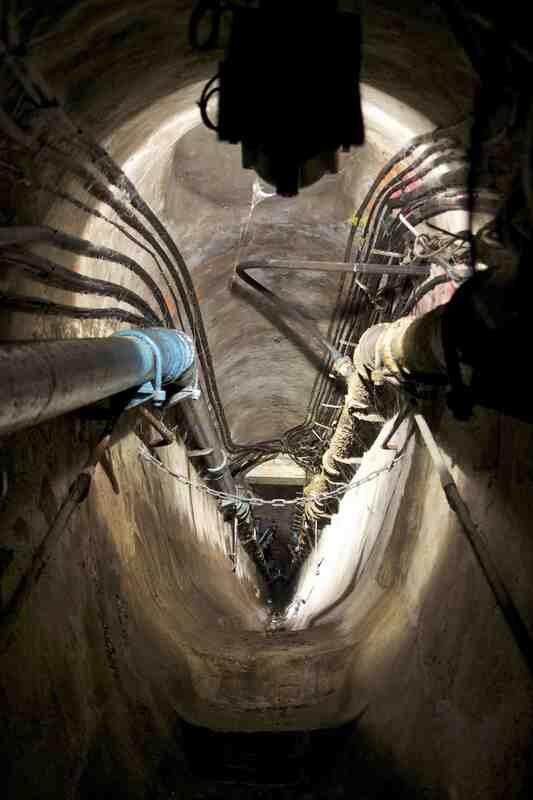 These visits challenged public understanding of sewers as fearsome places with a new mode of conception – that propagated by the engineer, who plans and builds sewers according to rational and scientific principles. On the surface, today’s Musée des Egouts is a rather less exciting and more sanitised space than its nineteenth-century forebear. 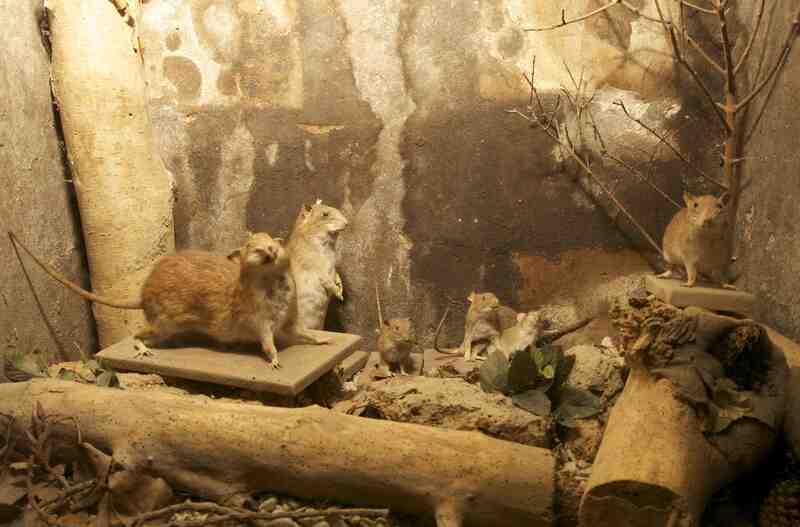 Guided by arrowed signs, visitors inspect the sewers without actually riding in the excrement, the cleaning machines are displayed as relics of the past, while stuffed rats in a glass case suggest that the sewers have been thoroughly cleansed of organic life (2). 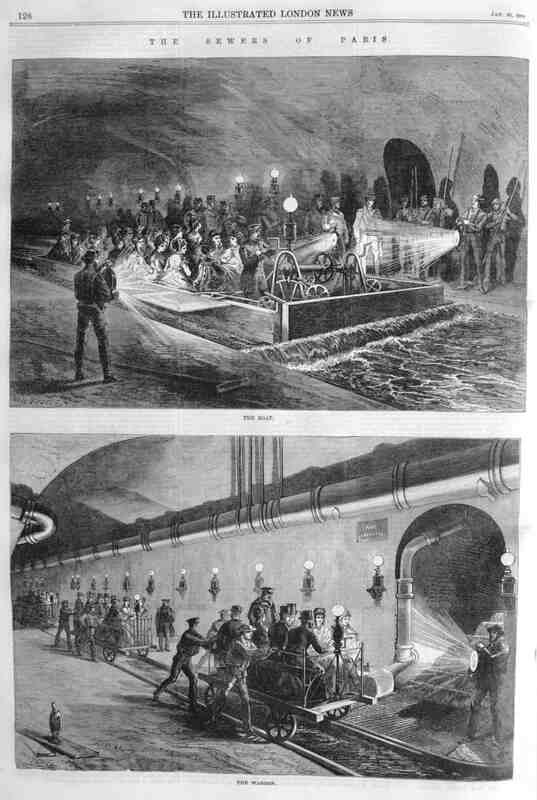 Meanwhile, the history of Paris’s underworld is described through unappealing exhibition panels inserted into the cavernous spaces of the sewers (3), while Jean Valjean’s heroics are visualised as they might be in an amateur dramatics production of Les Misérables (4). Yet, all the while, the great tide of Parisian excrement flows beneath your feet – overpoweringly smelt, heard and seen. 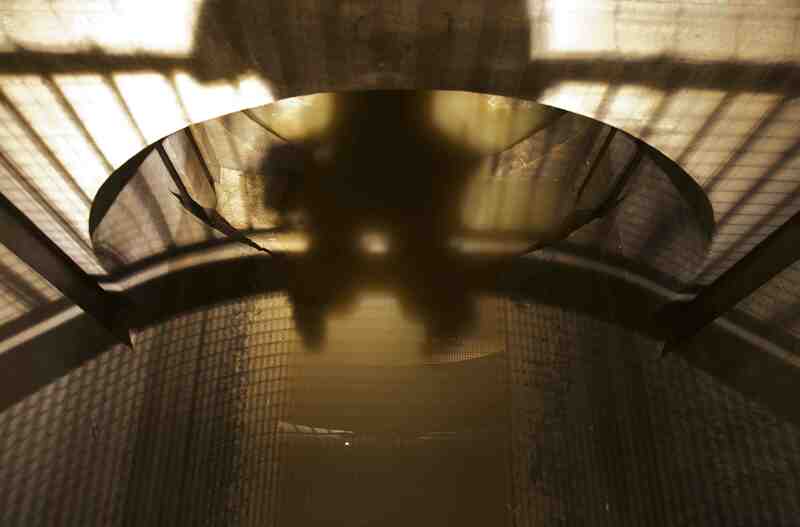 The enormous water and gas pipes, suspended from the ceilings of the sewers, drip in the humidity while the enclosed spaces magnify sounds and create strange echoes. It is as if the spaces themselves constantly threaten to overshadow the rationalised understanding being presented to us. Indeed, looking past what is presented suggests an illimitable world beyond, at once terrifying and enchanting – passages disappear in all directions, up and down (5); tunnels recede into pitch black (6); unimaginable torrents can be heard in the far distance; shadows loom in unexpected places (7). The Paris sewers, like those in any other modern city, might have been called to order in the nineteenth century; yet, like all sewer spaces, no matter how rationalised in conception, they stubbornly resist to be perceived in this way. In providing an opportunity to experience these spaces, no matter how ‘guided’ this experience may be, the Musée des Egouts opens up a world in which the city can be re-enchanted, experienced as truly ‘other’ and offering fertile ground for the liberation of the imagination.